An internet sounds outlet. Later this year. from left to right. 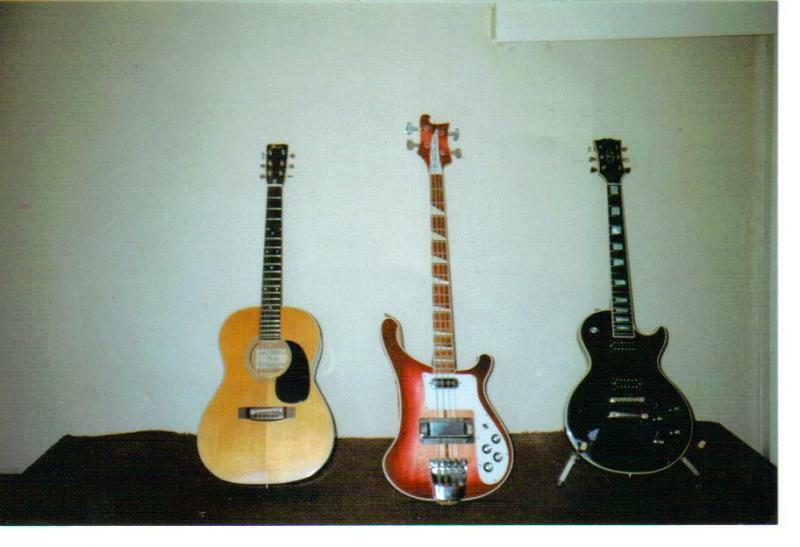 Fender F15, acoustic: 1974.Rickenbacker 4001. stereo bass. 1973.Gibson Les Paul Custom, 1969. Bought used in 1979.